In the spirit of the festive season Rockliffe Hall has launched a short term incentive for businesses booking their event or conference to be held in January or February at the five star facility. Anyone booking an event to be held before 28th February 2012, will receive a team away day for up to 10 people, an ipad2 or an iphone4. Offering up nine hotel meeting rooms of differing sizes, a championship golf course, award winning spa and 61 stunning hotel rooms, Rockliffe Hall is just minutes from Darlington train station and the resort offers peace and tranquility ideal to concentrate on the important matters in hand. “We all know how stressful it can be being the person booking an event or a conference, so Rockliffe Hall has decided to reward anyone taking on that responsibility. We have a choice of three fabulous gifts, for anyone booking an event worth more than £5,600 that takes place in January or February. While the resort is popular with local businesses, large and small, it has also attracted many high profile and influential visitors from around the world. The Premier League recently hosted their summer summit at the beautiful venue with top club executives, following on from last year’s visit from FIFA officials in the region to inspect its credentials as part of the England World Cup 2018 bid. The resort is well known for its five star service and meeting facilities in County Durham, recently having picked up the prestigious Conde Nast MICE award (2011) as well as winning multiple North East awards. The resort has also won the Business Tourism in the North East award, two silver awards for Outstanding Customer Service and Taste of the North East for the Kenny Atkinson at the Orangery restaurant. Spa Director Liz Holmes also recently was named Spa Professional of the Year at The Hotel Catey’s. Rockliffe Hall is the newest and most exciting hotel resort to open in the North of England. Set on a magnificent restored 18th century estate on the banks of the River Tees, it is a destination in itself and a five star home-from-home. This press release was distributed by ResponseSource Press Release Wire on behalf of Query Click Ltd in the following categories: Leisure & Hobbies, Travel, for more information visit https://pressreleasewire.responsesource.com/about. 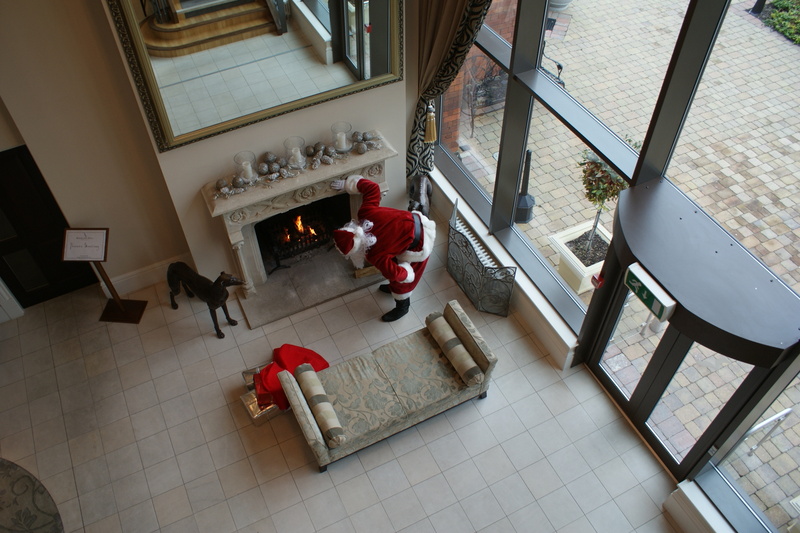 Will Santa fit down chimney?